Author: Hawke, Lydia Set In . . . Description: It's 1864, during the siege of Atlanta. 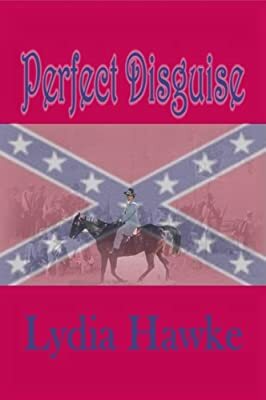 Desperate to escape her drunken father and her vicious fiancé, Willa Randall dons her dead brother's clothing, changes her name to Will Barber, and joins a Confederate cavalry unit led by Captain Jefferson Spencer. Unschooled in military matters, Willa overcomes one problem, only to find another waiting to ambush her on the path ahead. She first idolizes then falls in love with her captain, who sees her as just another youthful recruit. She must learn the skills of a soldier amid the heat of battle and the threat of sudden death. All the while Edgar Dodds, the obsessive fiancé, is on her trail, seeking to reclaim his possession. Captain Spencer, a grieving widower, avoids forming attachments that can lead to more grief. Even his own life holds little value to him. When he is inexplicably attracted to his aide, Will, more self-doubt dogs him. Through it all, his liking for the engaging youngster begins to restore his appreciation for life. Willa fears that when Captain Spencer discovers her secret, he will banish her from her sanctuary among the soldiers. Her experiences with the brutal men in her past give her little hope that he will take her part when Edgar Dodds catches up with her. On that devastating night, Willa sees no choice but to run away again, far from both the man she fears and the man she loves.